We’ve worked for the past year and a half on launching Northeastern University’s Graduate School in Seattle. It has been such a great experience. 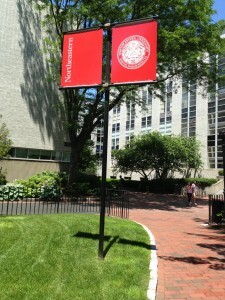 We just returned Boston visiting their campus there where we had a wonderful meeting with the leaders of the University. We’ve worked with this client to create strategies for reaching very niche markets through targeted media buys. We’ve focused on qualified lead generation. There is a vast difference in marketing strategy for targeting professionals interested in graduate school versus students seeking undergrad education. Some agencies would use similar strategies for undergrad and graduate schools, but that would be a marketing mistake. Our team has focused on marketing innovation. I’m proud of our team for their successes in working with this client to deliver specific, niche audiences powerful messaging that delivers qualified leads to the University. We’re grateful to have such a wonderful working relationship with Northeastern.